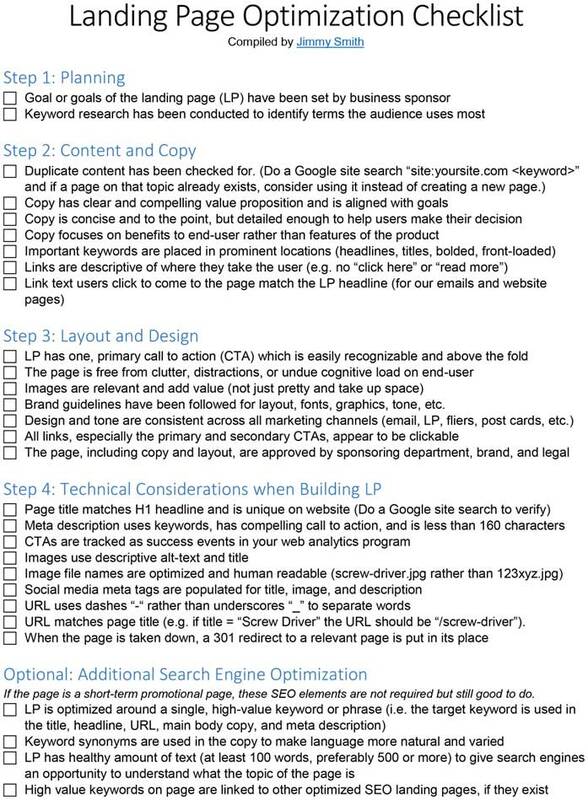 Some time ago, I created this landing page optimization checklist to make it easier for the people at my company who build landing pages to do them in the most optimal way. 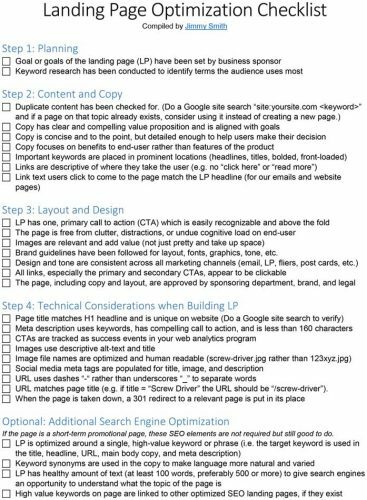 The checklist mentions 29 points, primarily to do with conversion optimization but also with search engine optimization topics. Download a PDF of the checklist with the button below or below that you can see the text of the checklist. Enjoy!  Brand guidelines have been followed for layout, fonts, graphics, tone, etc.  URL matches page title (e.g. if title = “Screw Driver” the URL should be “/screw-driver”). If the page is a short-term promotional page, these SEO elements are not required but still good to do.